Successfully Added IPEGA PG-9089 Bluetooth Wireless Game Controller for iOS Android PC to your Shopping Cart. 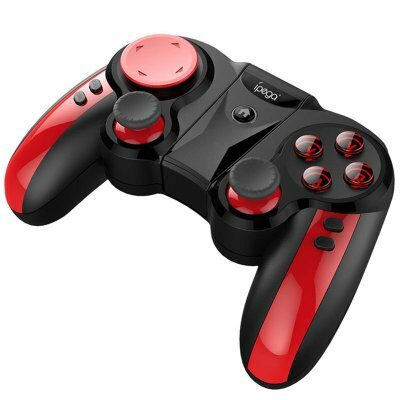 Support playing games on Bluetooth enabled: Android tablet / smart phone / TV box /iOS mobile phone / tablet , and Win7 / Win8 / Win10 PC without and drivers. Multimedia player buttons: "volume +, -,"last ","next ""Play / Pause" can be used under Android /iOS system devices. With extending tablet holder, maximum extending size up to 280mm, better fit for game playing on large size tablets. Ergonomic streamlining and comfortable hand hold feelings.